Experimentation in Architecture through the exploration of different tools of representation and technologies [Sketches, Digital Drawings, Rapid Prototyping/Laser Cutting, MultiMedia technologies]. Focusing on the design process and the creation of narratives as a tool for design, communication as well as representation [Narratives, Diagrams, Story Boards, Comic Strips, Developmental Models]. Integrating theory and practice in studio teaching [Linking Mid and late Twentieth Century and Current Theories of architecture to Experimental Design and Social Practices]. Sana Murrani is an experimental architect with an interest in urban and spatial practices. She currently holds the position of Associate Head of School for Graduate Affairs for the School of Art, Design and Architecture at the University of Plymouth, UK. This is in addition to her role as the Stream Leader for History and Theory of Architecture and Critical Context. She studied architecture at Baghdad University School of Architecture at both under-graduate and post-graduate level. Sana completed her PhD with Professor Roy Ascott and the Planetary Collegium research group, on the subject of theoretical encounters and the critique of architectural representation and material culture under the influence of technology. She is the founder of the Displacement Studies Research Network, working at the intersection between displacement, heritage, and creativity to research, share, and enhance the impact and power of the creative agencies of displaced peoples, their culture, identity, heritage, health and well-being. Sana’s main research interest is in the field of critical urban theory and spatial practice with a particular focus on the transient conditions of post conflict spatial practices. She is the principal investigator for Creative Recovery: Mapping Refugees’ Memories of Home, as Heritage funded by the European Cultural Foundation, Courageous Citizens 2018. The project is in partnership with British Red Cross, and is based on co-produced creative research with 15 refugees. She has published in peer-reviewed journals and participated in international conferences and workshops. 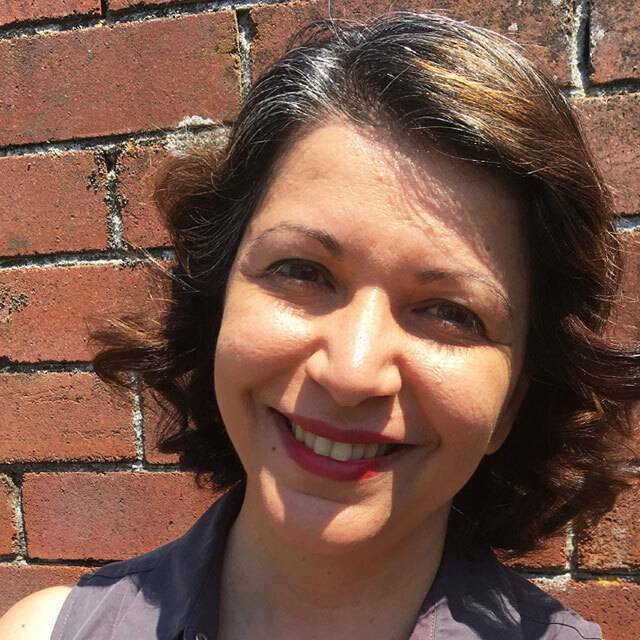 Sana is currently an Advising Editor for Leonardo Reviews: The International Society for the Arts, Sciences, and Technology, a guest reviewer for Routledge Architecture section, and a member of the ESRC Global Challenge Research Fund Peer Review College. Collaborator with i-DAT, Plymouth University. Collaborator with Trantechnology research group, Plymouth University. Member of the Architectural Humanities Research Association AHRA. Member of the Planetary Collegium research group, Plymouth University. - PhD supervisor [DoS]: Arhitectura 1950 – 1989. Interstitial Spaces of Communist Romanian Architecture by Ioana Popovici [viva passed in November 2018]. - PhD supervisor [DoS]: Radical Rivers:Blue Spaces for the 21st Century by SallySutton [expected completion December 2019]. - PhD supervisor [2nd]: Play Dynamics: participatory/ dynamic architecture as an instrument for social activism by Alejandro Quinteros, Planetary Collegium [expected completion October 2019]. - PhD supervisor [2nd]: Re-Imagine Your Town: Co created archives of community urban visions by Becalelis Brodskis, 3D3 Centre for Doctoral Training [expected completionOctober 2019]. -PhD supervisor [3rd]: TheImpact of Nostalgia on Media Form: the Video game by James Sweeting[expected completion 2020]. -PhD supervisor [2nd]: What does it mean to do development differently? by Maria Llanos del Corral, Transtechnology Research/Schumacher Node [expected completion April 2022]. - In and out of memory: exploring the tension between remembering and forgetting when recalling 9/11, a traumatic event by Anna Walker [completed PhD December 2017]. - Post-structural and Post Colonial Critique of Utopian Ideas by Richard Bower [completed PhD January 2015]. - ParticipatoryDesign in Spatial Practice by Alex Lorimer [completed ResM March 2016]. - A Play between Interactive Architecture, Social Space and Participation by Chrysa Petrou [completed MRes August 2013]. - The Use of Technology and the Representation of Contemporary Architecture by Jessica Westmacott [completed MRes August 2011]. - Space-Time Aesthetics in the Meta-Environment: A Cybersemiotic Analysis by Claudia Ferreira Jacques de Moraes Cardoso [PhD Art and Media, July 2018]. Internal examination. - POST AFRICAN FUTURES: Decoloniality and Actional Methodologies in Art and Cultural Practices in African Cultures of Technology by Tegan Bristow [PhD Art and Media, December 2017]. Chairing examination. - The (Not so) Intelligent House: User Perception in an Interactive Architectural Environment by Alexander Ćetković [PhD Art & Media, September 2017]. Internal examination. - In Search Of The Domonovus: Speculative Designs For The Computationally-Enhanced Domestic Environment by Stavros Didakis [PhD Art & Media, August 2016]. Chairing examination. - Theroia: The Veneration of Icons via the Technoetic Process by Katerina Karoussos [PhD Art & Media, June 2016]. Internal examination. - Museum and Technology: aspects of multimediality and multimodality in the cultural assets field by Simona Caraceni, Plymouth University [PhD Art & Media, September 2014]. Internal examination. Principal Investigator for Creative Recovery: Mapping Refugees’ Memories of Home, as Heritage funded by the European Cultural Foundation, Courageous Citizens 2018 . The project is in partnership with British Red Cross, Plymouth – Devon. Grand award: €10K, August 2018-October 2019. ‘Displacement, Disaster and Destruction’ Sustainable Earth Institute Annual Conference, University of Plymouth – UK, 28th – 29th June 2018. ‘Displacement and emplacement of spatial heritage’, UK Alliance for Disaster Research Annual Conference hosted by the Cabot Institute at the University of Bristol – UK, 27th -28th March 2018. ‘Rudimentary design, architecture, and urban integration: Getting out of context and moving from ‘for’ to ‘with’ the displaced’, Human and Urban Displacement: From Crises to Creativity, Launch event for the Displacement Studies Research Network at the University of Plymouth’s Research Festival 2018, hosted by the Arts Institute, the Responsible Entrepreneurship and Social Innovation Research Group within the Institute for Social, Political and Enterprise Research (iSPER), the Sustainable Earth Institute, and Research and Innovation. University of Plymouth – UK, 25-26 January 2018. ‘Contingent Creativity of the Displaced between Urban and Epigenetic Plasticity’, In: Proceedings of the 3rd Off the Lip 2017: CogNovo Colloquium on Experiences and Applications of Cognitive Innovation (OTLip17), 16th-18th of August 2017, University of Plymouth, UK, 105-112. Architecture and Writing: ARCHTHEO '14 / Theory of Architecture Conference, 6th-8th of November 2014, Mimar Sinan Fine Arts University, Istanbul - Turkey. ISEA2011 Istanbul, Panel discussion: The Volatility and Stability of WorldMaking as Techné. Inter Society of Electronic Arts (ISEA2011) conference in Istanbul, September 14th-21st 2011. Invited panelists: Roy Ascott and Marcos Novak. Chair and Co chairs: MarkDavid Hosale, Sana Murrani and Alberto de Campo. Fixed? Architecture, Incompleteness and Change, School of Architecture, Design and Environment, University of Plymouth, UK, 7-8 April 2011, p20. The 13th Generative Art Conference15th, 16th, 17th of December 2010, Milan-Italy. 9th Consciousness Reframed Conference: NewRealities: Being Syncretic. Vienna July 3-5 2008. Vice Chancellor's Research& Innovation Conference, The University of Plymouth - UK April 2007. 8th Consciousness Reframed Conference: Art & Consciousness in thePost-Biological Era, Plymouth - UK, July 21-23 2006. Models of Machine learning in Creative Design Conference, DCC'06, Eindhoven Technical University andUniversity College London, The Netherlands, July 2006. SlidingScales Workshop, i-DAT and the Bartlett School of Architecture, The University of Plymouth - UKNovember 2006. Designing for the 21st Century Workshop, University of Westminster, London, September 2005. Altered States Conference:Transformations of Perception, Place and Performance, The University of Plymouth, Plymouth - UK July2005. BIOTECH ART, SymbioticA and Kings College, London, March-April 2005. Sensational NetInternational Conference, Fortaleza - Brazil, November 2003. - MURRANI, S. [forthcoming 2019]. ‘Urban Creativity through Displacement andSpatial Disruption’, In: Michael E Leary-Owhin and John P McCarthy (eds), The Routledge Handbook of Henri Lefebvre, The City and Urban Society. London: Routledge. - HOSALE, MD., MURRANI, S. and DECAMPO, A. 2018. ‘Introduction from the Editors’ to Worldmaking as Techné: Exploring Worlds of Participatory Art, Architecture, and Music. Cambridge, Ontario: Riverside Architectural Press, pp. iv-xxvi. - MURRANI, S. 2018. ‘Estranged Space Appropriated’, In:de Campo, A., Hosale, MD., and Murrani, S. Worldmaking as Techné: ExploringWorlds of Participatory Art, Architecture, and Music. Cambridge, Ontario: Riverside Architectural Press, 296-319. - MURRANI, S. 2016. ‘Baghdad’s thirdspace: between liminality, anti-structures and territorial mappings’, The Journal ofCultural Dynamics 28 (2), 189-220. - MURRANI, S. 2014. ‘To Cognise a Liminal Reality: on constructing a spatial and social assemblage of peripheral sites and situations in England’, In: Architecture and Writing: ARCHTHEO ’14 /Theory of Architecture Conference Proceeding Book, 6th-8th of November2014, Mimar Sinan Fine Arts University. DAKAM: Istanbul, 217-226. - MURRANI, S. 2012. ‘The Socio-Temporary in Architecture: Territories of Second-OrderCybernetics’, The InternationalJournal of Art, Culture and Design Technologies 2 (1), 44-56. - MURRANI, S. 2011. ‘Third Way Architecture: Between Cybernetics and Phenomenology, Technoetic Arts: A Journal of SpeculativeResearch 8 (3), 267-281. - MURRANI, S. 2009. ‘Instability and Incompleteness in Architecture’, In: Ascott, R., Bast, G., Fiel, W., Jahrmann, M.& Schnell, R. (eds.) New Realities: Being Syncretic. Wien: Springer.202-206. - MURRANI, S. 2007. ‘The Behaviour of Architectural Forms’, Technoetic Arts: A Journal of Speculative Research 5 (3), 133-149. December 2018: Advising Editor to Leonardo Reviews: The International Society for the Arts, Sciences, and Technology (MIT). October 2016: Member of the Global Challenges ResearchFund ESRC Peer Review College. October 2016: Reviewer for Footnote: Delft Architecture Theory Journal. June 2015: 12th AHRA Research Student Symposium, Syncretic Architectures: new approaches between theory & practice, School of Architecture, Design andEnvironment, University of Plymouth, Plymouth - UK 11-13 June 2015. Symposium chair, member of the internal reviewing panel, main organiser and mentor for PhD students. December 2014: COGTALK: An evening of talks organised for the Cognition Institute on the social and cultural construct ofArchitecture. An evening with artist Tim Knowles, academic and architect Dr.Sana Murrani and Dr. Mathew Emmett. July 2014: Reviewer for Leonardo Reviews: The InternationalSociety for the Arts, Sciences, and Technology. Soft Estate by Edward Chell (reviewed 2014), Cartographies of Place: Navigating the Urban by Michael Darroch and Janine Marchessault, and Drawing Ambience: Alvin Boyarsky and the Architectural Association by Igor Marjanovic and Jan Howard(reviewed 2016). August 2013: Re-New: Digital Arts Festival - THE BIGPICTURE: the confluence of art, science and technology, Copenhagen, Denmark2013. Invited reviewer on the subject of architecture and cognition. August 2013: Locative Media, Edited by Katharine S. Willis and Regine Buschauer, Transcript Verlag, 2013. Invited reviewer. September 2011: Panel discussion at ISEA2011 Istanbul: TheVolatility and Stability of WorldMaking as Téchne, Inter Society ofElectronic Arts (ISEA2011) conference in Istanbul, September 14th-21st 2011. Workshop panellist. August 2011: Reviewer for Routledge Architecture Section. COGTALK December 2014 for the Cognitive Institute on the social and cultural construct of Architecture. An evening with artist Tim Knowles and Dr. Mathew Emmett. Member of the Planetary Collegium Research Group, University of Plymouth, since Jul. 2003. Member of the Architectural Humanities Research Association AHRA, since Jan. 2008. Member of the Culture-Theory-Space group, University of Plymouth, since Sep. 2009.